← Do you have a Tiff SDK to Deskew and Despeckle TIFF files? How to Fill Out PDF Forms Electronically? Use PDF Form Filler to Fill and Save PDF Forms? My company is working on EU projects, managing many applications and many calls in the same time. European Union develop for each one of this project a pdf e-form that need to be compiled. To develop easily for our projects, we start to define a database in which we collect all partners data, all actions and budget aspects. Our internal database reflect in detail the e-form structure, and in this way we can work easily and in a most fast way in developing, coping and pasting everything at the end in the final pdf. My question is: could be possible with your software to copy all information from the database to the pdf e-form? Or to build a software able to do that? I attached an example of pdf form for one of those projects. Just to le to you know, the process is to compile it, then to validate it through an online submission. If it's possible work on this aspect, I'm very interested in buying one of your products or to develop a new one able to do that. We do provide PDF Form Filler SDK and PDF Form Filler OCX products, you can integrate these products into your application to fill the forms easily. You can open your PDF file in VeryPDF PDF Form Filler application, fill the forms and click “Save As” button on PDF page, then you can save to a new PDF file with filled data, then you can email the filled PDF file to others easily. How to use an SDK API to insert text and mark checkboxes as checked from our web application? 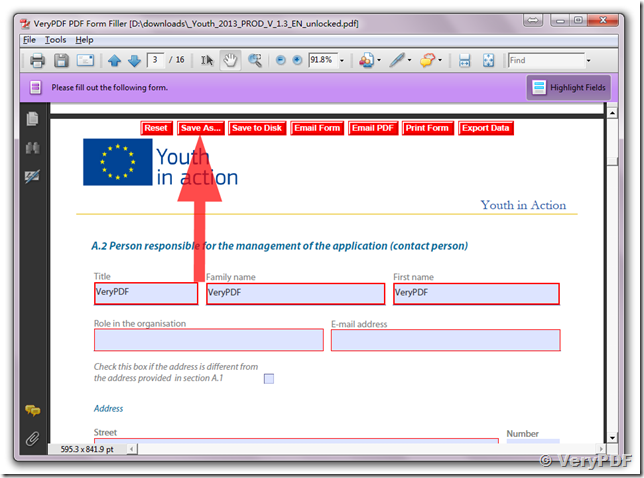 How to use PDF Form Filler SDK from VB6 to fill PDF forms? 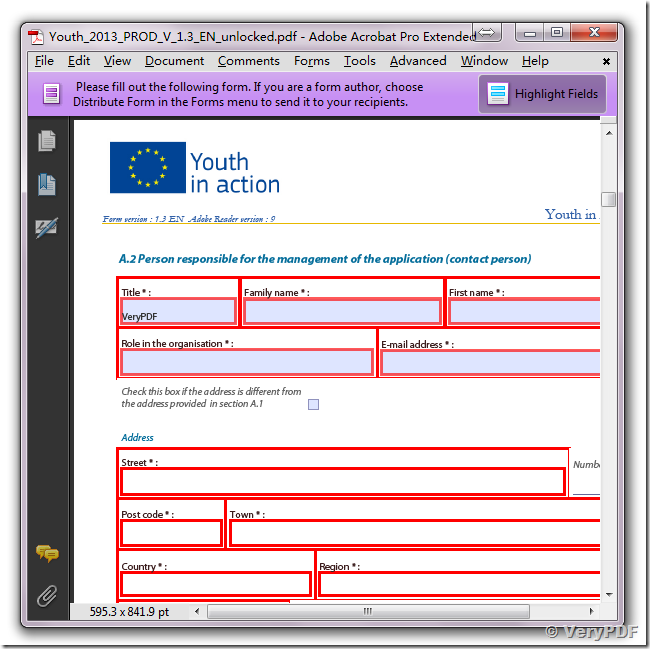 How to generate XFDF from PDF form, import a XFDF into a PDF form and flatten a PDF form? Can we open PDF form at our asp.net page in browser and submit data to database? 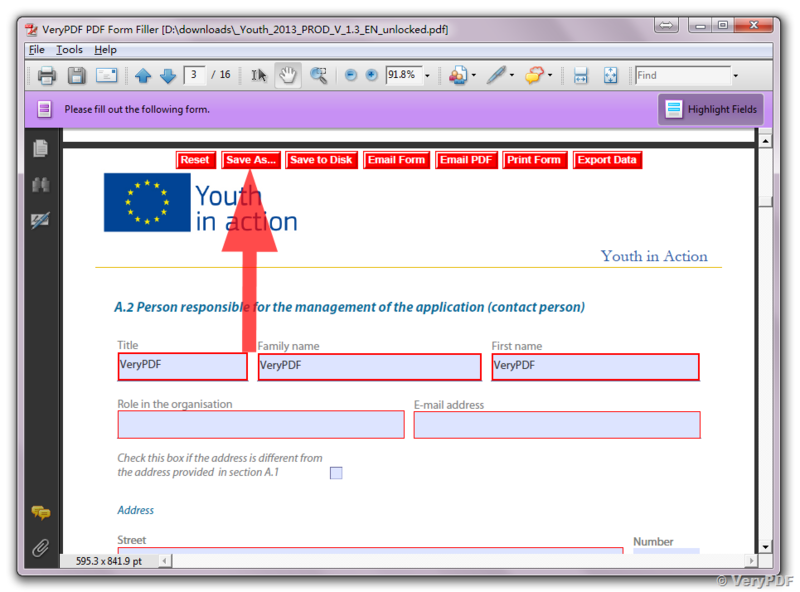 How to fill the dynamic PDF forms by PDF Form Filler? This entry was posted in PDF Form Filler and tagged pdf form filler, PDF Form Filler OCX, PDF forms. Bookmark the permalink.